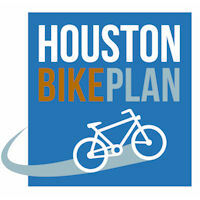 Houston offers a 345-mile interconnected bikeway network spanning across 500 square miles of the city. The network includes bike lanes, bike routes, shared lanes and bayou trails, rails to trails, and other urban multi-use paths. This network does not include 80 miles of hike and bike and nature trails found in City of Houston parks. Cyclists travel on designated bikeways and merge onto bicycle-friendly streets to complete their journey. Employers and public facilities provide bicycle parking and showers or passes to fitness facilities so employees can freshen up for an upbeat day at work. Children ride the trails with their friends and family and participate in bike safety classes with their classmates. Neighbors meet as they walk and bike in their community to the library or corner shops. Motorists share the road because one more cyclist is one less car on the road.